To say Americans enjoy travel may be an understatement. According to a new NerdWallet survey, conducted online by Harris Poll in May 2016, 84% of Americans have taken a trip in the past 12 months. And while many of these consumers are paying for their trips with credit cards — 64% do so for transportation and 58% for lodging — they may be missing out on valuable rewards if they are choosing a travel card over a cash-back card. That’s right: Travel credit cards aren’t necessarily the best option, even for travelers. In many cases, a consumer could get more value by using a cash-back card and then using the cash rewards to pay for travel expenses. Domestic travelers who spend less than $8,600 per year on travel earn more rewards with a cash-back card than a travel rewards card. Americans who travel overseas at least once per year tend to save more with a travel rewards card, due to the difference in the value of rewards and the fact that travel cards typically don’t charge foreign transaction fees. Millennials travel as much as other generations, but only around half paid for their last trip with a credit card (54% paid for transportation with a credit card and 47% paid for lodging). Domestic travelers who spend less than $8,600 per year on travel expenses would earn higher overall rewards with a cash-back card than a travel card. Almost one-fifth of Americans (19%) have at least one travel credit card, the survey found, but depending on their travel habits, it might not be their best option. Domestic travelers, unless they spend more than $8,600 on travel each year for five years, would actually be better off using a cash-back credit card, assuming average spending levels on other expenses as compiled by the Bureau of Labor Statistics. The longer people keep a card — and longer is better because the average age of credit accounts is factored into the FICO credit scoring model — the more they’ll need to spend on travel to justify a travel rewards credit card. On average, travel cards offer higher sign-up bonuses in the first year than cash-back cards do; therefore, travel cards net the most rewards for most people for the first few years. However, as time goes on, popular cash-back cards will become more valuable to many consumers because of their high ongoing rewards rates and generally low fees. Of course, there’s more to credit cards than rewards. Consumers should consider whether they use other benefits often offered by travel cards but not by cash-back cards. For example, those who check luggage when flying may decide on a co-branded airline card, as such cards typically give cardholders free checked bags. But many Americans don’t fly — 60% in the survey said they hadn’t traveled by airplane in the past 12 months. Such consumers wouldn’t take advantage of these perks and should therefore go with a cash-back card. Americans who travel overseas an average of at least once per year are often better off with a travel rewards credit card because of higher point values and no foreign transaction fees. More than a quarter of Americans (26%) travel internationally at least once a year, on average, the survey found. For these consumers, a travel credit card is probably the way to go. There are two reasons for this: The redemption rates of miles or points for international trips drive up the value of rewards, and most cash-back credit cards charge a foreign transaction fee of 3% on overseas purchases. A travel card for this consumer would earn an average of $26.05 more per year in rewards than a cash-back card. If the entirety of the travel budget is spent overseas, a consumer would save an additional $93.81, assuming a 3% foreign transaction fee. Millennials travel as much as other generations, but only around half pay for trips with a credit card. The other half is missing out on potentially valuable rewards. Among millennials (ages 18-34), 86% said they took a trip within the past 12 months, and 32% travel internationally at least once per year, on average. They also keep their travel spending in check. Millennials have the lowest average travel spending per year among the generations: Those who have taken a trip in the past 12 months and reported spending money on travel had an average of $1,972 per year in travel expenses — compared with $3,770 spent by Gen Xers and $3,439 spent by baby boomers. It’s great that this age group is able to enjoy travel frugally, but only about half are earning rewards on these trips: 54% of millennials who have taken a trip in the past 12 months paid for the transportation on their last trip with a credit card, and 47% paid for lodging with a credit card. For comparison, 79% of those ages 65 and older paid for the transportation on their last trip with a credit card and 73% paid for lodging that way. Millennials are more likely to pay with cash than those 45 and older (53% vs. 38%, respectively) or with a debit card than those 55 and older (46% vs. 20%, respectively), probably because a full third of millennials (33%) don’t own any credit cards. Over a quarter of millennials (27%) have at least one cash-back card, and only 13% have a travel rewards card. Based on average spending, the average millennial who travels could enjoy $343 a year in rewards with a cash-back card, which is $25 more than with a travel rewards card — and $343 more than he or she is getting now using a debit card. This survey was conducted online within the United States by Harris Poll on behalf of NerdWallet from May 23-25, 2016, among 2,136 U.S. adults ages 18 and older, among whom 1,736 have taken a trip in the past 12 months. This online survey is not based on a probability sample and therefore no estimate of theoretical sampling error can be calculated. For complete survey methodology, including weighting variables, please contact cc-studies@nerdwallet.com. U.S. Bureau of Labor Statistics. “Travel expenditures, 2005-2011: spending slows during recent recession.” 2012. We used internal data to calculate the dollar values you need to spend on travel to break even between cash-back and travel credit cards, as well as the dollar value of rewards earned. We pulled household spending data from the Bureau of Labor Statistics’ consumer expenditures report for 2014, and included only expenses that could reasonably be charged to a credit card — leaving out shelter, most vehicle expenses, insurance and cash contributions. Travel spending — which we used to estimate the allocation of how people spend money on travel — was pulled from the BLS’ most recent travel expenditures data, from 2011. Some cards offer different earn rates for different spending categories. So for each card, we multiplied consumer spending by the advertised earn rates for each category, taking spending caps into account. To reach the break even between cash-back and travel credit cards, we assumed five years of card ownership — taking the total rewards multiplied by our internally calculated rewards value, subtracting the annual fee, adding in the sign-up bonus and any easily quantifiable perks, and dividing it all by the total spending. We used the average between all cash-back and all travel cards to determine this break-even point. We also didn’t include other fees — such as foreign transaction or balance transfer — or most benefits, like purchase protection and extended warranty coverage, because they aren’t easily quantifiable and will vary based on credit card usage. But we did take waived first year annual fees into account when applicable. For all cards, consumers redeem for the highest value rewards possible (not including transferring to travel partner programs). For airline and hotel cards, consumers redeem for the average rewards value for free flights and hotel stays. Clothing is purchased at U.S. department stores, groceries are purchased at U.S. supermarkets, and gas is purchased at U.S. gas stations. For the 5% quarterly rewards cards, spending is equal in all categories each quarter. For bonus categories that didn’t fit into another category, we assumed spending in the “other” category. For airline and hotel cards, all airline and hotel spending is done with the co-branded partner. For cases in which a quarterly spending limit was reached, we allocated the bonus rewards based on a percentage of spending. Erin El Issa is a staff writer at NerdWallet, a personal finance website. 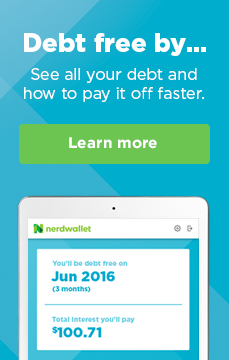 Email: erin@nerdwallet.com. Twitter: @Erin_Lindsay17.